I’m happy to announce that I’ve got a full new album coming up! It’s a return to the melodic romantic pop that was the origin of Azure Blue. The album Images of You is due in March 2019. I’ve been listenig a lot to my old vinyls like I did while writing Rule of Thirds so these songs echo of traditional melodies and is pure pop like my very first album. 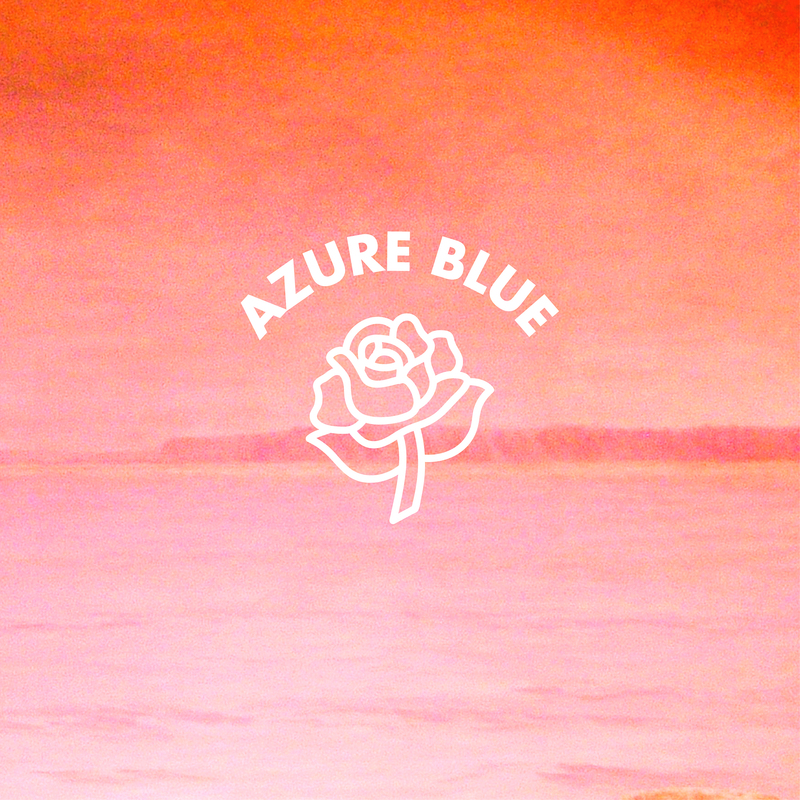 60′s to 80′s inspired melodies meet a dreamy electronic synth sound. The production is a bit more distinct than the first albums, but the production is full of shimmering sounds and reverbs and lush analog synth sounds. In my book it’s the strongest and most coherent collection of songs I’ve written so far. The lyrics are sincere musings of love inspired by my sweetheart and I really can’t wait to share the album with you. The first single Shine On features my long time collaborator The Land Below on co vocals and the track drops on Friday! I and the team couldn’t wait to get some new music out and couldn’t stand the thought of waiting until late January to present the sound of the new album! Hello home page! Sorry to have been neglecting you for a full album! It’s just been so much, I’ve met a new love, moved to a new place and launched a record label called The Future Sound of Stockholm. But I feel the need to write a recap about the album missed here. I released Fast Falls The Eventide in June 2018 via Hybris as main label with the main digital distribution and a beautiful vinyl release, Matinée did North- And South America and a CD plus an EP collecting some songs from other outings alongside a single from the new album. The beautiful label Zeon Light dubbed a lovely cassette version. I love cassettes! The same team is on board for the new album. Fast Falls The Eventide got very nice reviews and actually peaked at #8 on the Swedish Critics chart at Kritiker.se. The album was also nominated in the category Best Electronic Album in the Gaffa Awards. Dear home page! I’ve finally added the lyrics to my third album and posted the three new tracks I’ve released so far this year. I’m very excited about my new album coming up but when things get busy I will keep it simple here and stick to social media like Facebook and Instagram. Sadly my Twitter handle was hacked and I can’t get it back so you find me at https://twitter.com/tobiasisaksson. It’s a bummer but I mainly use Facebook and Instagram so hook me up there if you want to reach me! Bye for now! Hello! I just recovered the login to this page from an old email so it’s been slightly updated. Some of you have been asking for the lyrics for AZB3 and I will try to post them soon. If I miss some emails here you can try to find me on my Facebook page. I check it regularly. It was a big honor to receive the grant and I had so much fun tweaking those drum machines and synths. Making beats and dance music is one of my favorite things these days. But I also get a lot of new angles for my production and songwriting from doing other stuff. In 2017 I will reveal some new Azure Blue sounds as well as more Nite Flights excursions! TT review published in around 10 daily newspapers for instance City Malmö, Folkbladet, Gefle Dagblad, Kristianstadsbladet, Västerviks Tidningen, Nerike Allehanda etc..
Hey! This page hasn’t been updated in a while but it’s getting a face lift any day now by the wiz kid Anton Sjölander, from Hyper Island. This is my mother ship, but it’s always best to follow Facebook, Twitter and Instagram to see what happens. I always try to gather my thoughts and happenings here but you know, life is what happens when you’re busy making new music. I want to spoil you this year! I’ve got my own studio so there’s every possibility to create. I feel very blessed. So what’s been up? Let’s see. The single Tragedy and Changes came first with a European premiere at The Line Of Best Fit, US premiere at Under The Radar, praise in Prefix Mag, Musikguiden in Swedish national radio and all the lovely people that live to write about music they love. Nordic By Nature, Que Club/Djungeltrumman, Ge Hit Musiken, Synthpoprocks, Rippletunes and whoever I forgot to mention. All us independent musicians need you! Last week we dropped the Every Ending Story EP with two A sides and three fabulous remixes by greek synth queens Marsheaux, the painterly dreamscape supreme The Land Below and a cool indie house take by ODahl. The single track had a world premiere in Musikguiden in radio P3 and a bunch of cool blogs like Swede + Sour, Nordic By Nature, who made me artist of the week and let me run their Instagram for a day, and Ge Hit Musiken who even reviewed it with a 8 out of 10 grade. Listen to the tracks out so far below! I feel like it’s been forever since Azure Blue released something, but the album came out less than a year ago, and I’ve put out two EP’s with my new spacey project Nite Flights this year. But since I’ve decided to tour less the last year has felt much calmer than 2012 and 2013 anyway. And I have a new album pre recorded for Azure Blue already. I’ve actually started a studio, right in the heart of Södermalm in Stockholm. Me and my production partner Gustav will write, record and produce other artists. We started with a track I wrote with Asha Ali. The next step is finishing Azure Blue’s third album! We will start this week, so I’m pretty excited. I really like the way my sounds have evolved. It’s not a revolution, but a significant change in my book.